The pantheon of famous bandit-masked trash heroes got a little bit smaller (and sadder) this week, with news breaking that Oreo—a.k.a. 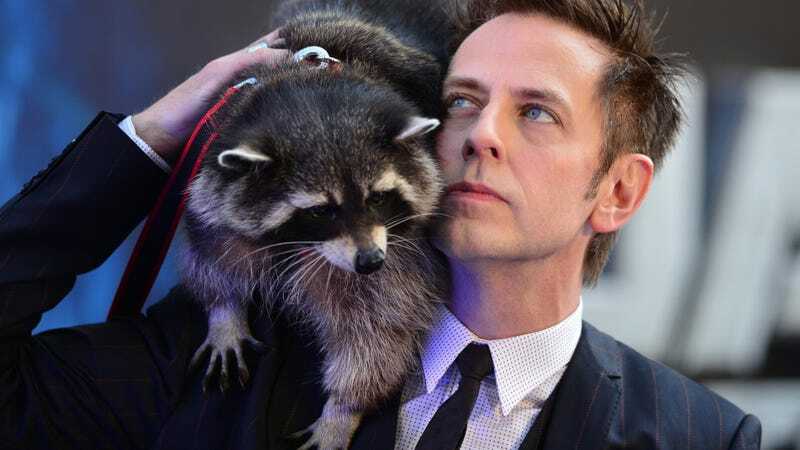 the raccoon whose features were used as the model for Rocket Raccoon in the Guardians Of The Galaxy movies—has died. Raised from birth by humans at an animal encounters company, Oreo was one of the rare raccoons equally comfortable interacting with both people and his own kind, something he demonstrated both during the extensive modeling process for the CGI character, and during public appearances at events like the first movie’s European premiere. Besides his film work—which involved multiple days of the movie’s artists photographing his fur, mannerisms, and movements—Oreo was also the face of Oreo And Friends, which does animal therapy, guided encounters, and, possibly most importantly, awareness work teaching people that trying to keep a raccoon (or meerkat, or kinkajou, or other exotic animal) as a pet without being ready for the extensive demands required is only going to make you and the animal both miserable, so leave it to the experts, please. Oreo was reportedly roughly 10 years old, which is about on par for the lifespan of well-cared-for raccoons. (In the wild, their lifespans tend to be much shorter.) He was notable for having what’s been described as remarkably friendly and non-aggressive personality, happily climbing on people’s shoulders and giving them head massages. He is survived by his mate, Mimi, and his cinematic counterpart, Bradley Cooper.